Recently turning 60 (mind you not graciously) ; I found myself remembering my days of youth, in which with steady hands I was once able to build models of sailing ships with minute detail in the moorings, masts, and billowing sails. Life in those days so I thought was simple, easy, and good. Seemingly, my life sailed on merrily until one day I found myself to be so far off course and so very lost. In fact something happened once upon a stormy sea and succumbing to hurt, anger, and frustration, I smashed all those beautiful model boats I had painstakingly built into splinters. A whole life time of birthdays have since come, gone, and passed me by. I pondered how I've been able to … sail on when I have often times compared myself to a leaky boat, with too many flaws and holes, and having barely a mast and sail … how could I possibly stay afloat? 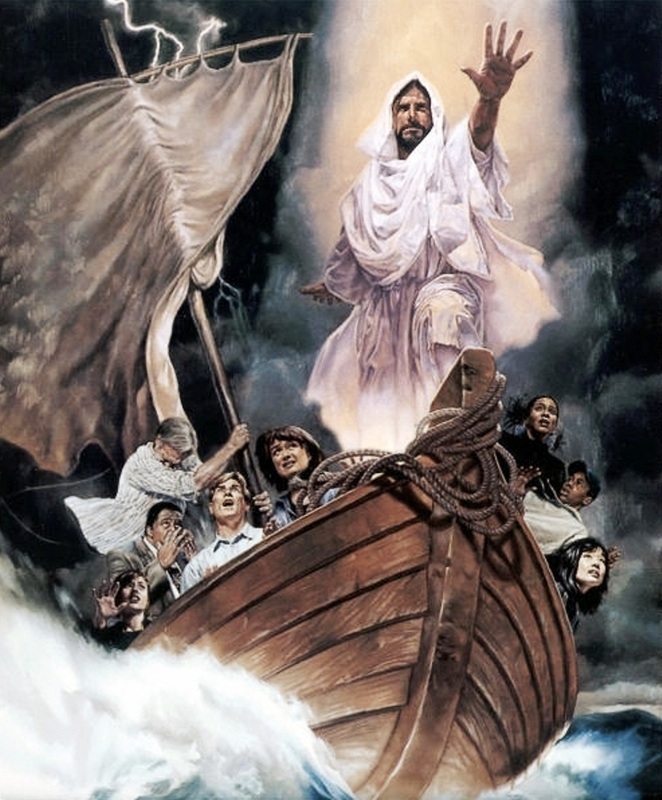 Recalling picking up my Bible on many occasions and reading the story I learned as a small child of 4 years of age about Jesus, and His disciples on the stormy Sea of Galilee for it was one of my favorites; it was no doubt just the medicine I needed. Older and maybe just a tad wiser now for having endured many a stormy sea since, I now hoist my sail proudly every morning and thank my Lord Jesus for one more day. My little boat in my minds eye is called Hope and on His still waters I am able to stay afloat. Sometimes the waters may yet be rough and stormy, on days when I barely seem to get anywhere; other days however are so glorious and sunny I can skip across the tops of waves like I'm floating above them. Something like Peter walking on water? Yet my boat creaks badly now and the paint is beginning to fade. It's almost funny, I think that in reality my boat should be sinking for all the duct tape patches and bandaids I've applied over the holes in it. But one of the most important life lessons I've learned, is that my ‘tiny boat’ among billions sailing on this sea of life matters to Jesus. For He is truly, forever and a day my eternal captain, my Lord and my Savior, and no matter what happens to me now in the course I’m sailing any given day; Jesus will safely bring my vessel to port and safe harbor. No matter what batters me along the way, I will sail on, fighting the good fight of faith for my captain knowing that He will never allow this dinghy to sink! For I truly know that when we give our life by faith to God our Father and Creator, fully trusting in Jesus Christ as our Lord and Savior; He will meet us wherever we are at. He will rebuild and remold our vessel and begin to restore it to full glory. I know now without any shadow of doubt, that Jesus really does have a perfect plan for my life in Him. Even though my boat does not look good on the outside anymore, I will smile on my birthdays knowing that Jesus is building a heavenly vessel below deck so to speak, in the very heart and soul of me where He began the lifelong process of making all things new when I first met Him, once upon a stormy sea.